Finding a solid gun belt to hold up your gear can be a frustrating experience, especially when it comes to determining exactly what size you need. 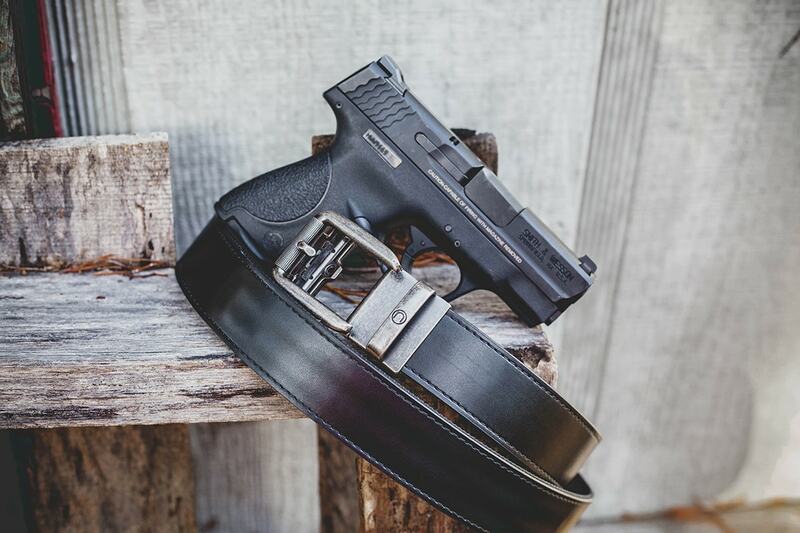 Eliminating the sizing drama, Nexbelt offers a “hole-less” gun belt design designed to ease the buying process with a one size to rule them all approach. Guns.com has given Nexbelts a whirl before, but with the recent batch of EDC inspired belts launching, we decided to give the Nexbelt series another go. This time, we’re trying out the company’s latest carry belt – the EDC Rogue. Nexbelt’s claim to fame is its inherent lack of holes. 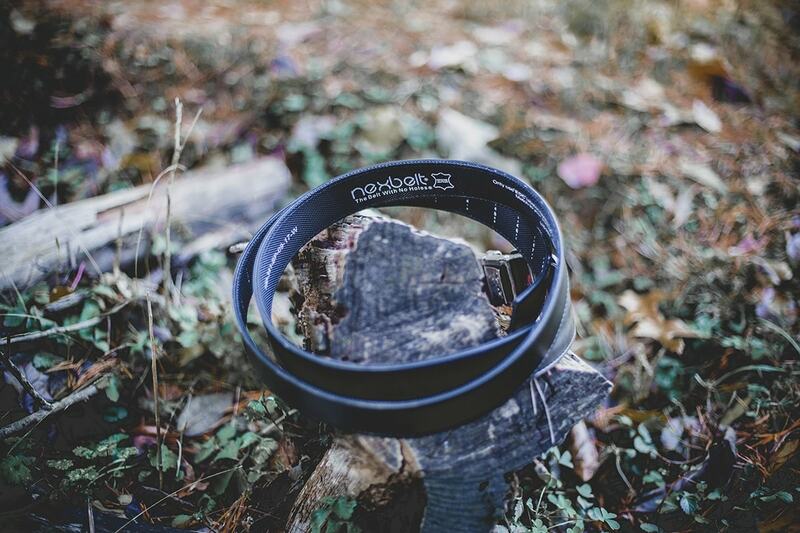 The belt relies on a ratchet style system to deliver sizing up to 50-inches. The EDC Rogue features a black leather look offset with a distressed nickel buckle measuring 1 11/16-inches by 1 ½-inches. The belt strap itself delivers a 1 3/8-inch width. While the exterior of the belt is a dressed-up leather style, the interior offers a nylon backing with measurement marks. The marks correspond to the wearer’s measurements, allowing for efficient and easy sizing. The Nexbelt’s strength is in its one size approach. 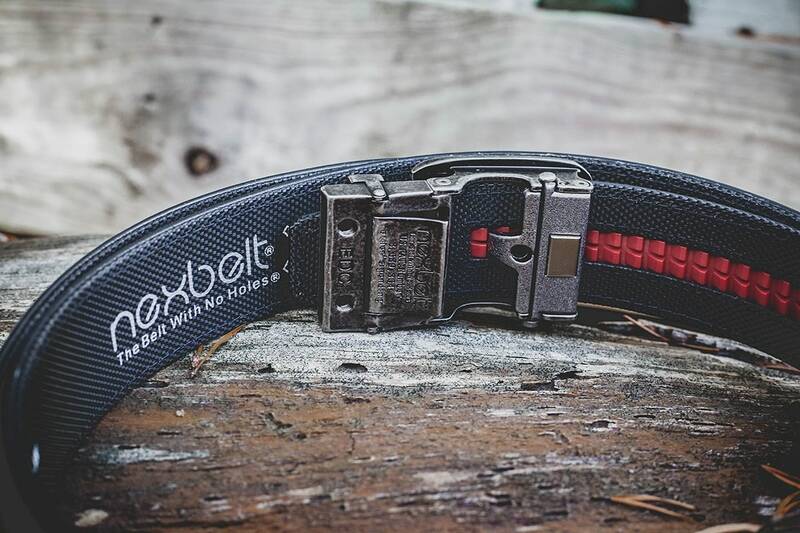 Instead of worrying about whether you fall into the small, medium, large category, the Nexbelt design delivers one belt that users can customize to fit their own needs. Have larger gear? Then add an extra inch or two. The Nexbelt EDC rogue takes the guesswork out of the belt buying process and instead gives all the power to consumers. Sizing the belt is efficient thanks to the measurements on the inside. Simply find your inches and then cut the belt to suit. I measure 32-inches but like to give myself a little more room, therefore I trimmed the EDC Rogue down to 34-inches. This sizing gives me a little more play room when it comes to the gear I carry. More gear? More room to accommodate. Less gear? Just tuck the belt into a belt loop and go on. Cutting the leather belt requires heavy duty scissors and a little elbow grease but after a couple minutes, the unneeded portion falls free and users are left with the belt cut to size. From there, wearers place the cut end into a clasp on the rear of the belt and latch it into place. Overall, the customization process takes less than 5 minutes to complete. Nexbelt users are left with a personalized belt that is cut to their exact dimensions. Of course, the biggest question is whether or not the Nexbelt EDC Rogue performs adequately as a gun belt. I faithfully used the Nexbelt Titan until I moved to a Volund Gearworks belt rig; but I still occasionally fall back to the Titan. Impossibly easy to don, the Nexbelt is a great minimalistic option for users who don’t want to spend upwards of $80 on a gun belt. When it comes to carrying, the EDC Rogue performed just as well as the previous Nexbelts I have previously encountered. The EDC Rogue successfully kept my gear in place and I experienced no sagging or extensive movement when drawing my weapon. The only area that I would note as an inconvenience to women is the leather material. No fault of its own, leather is notoriously difficult on women with shapely hips and the Nexbelt falls under this category. While leather does stretch and loosen over time, the break in period can be painful and fraught with bruising. 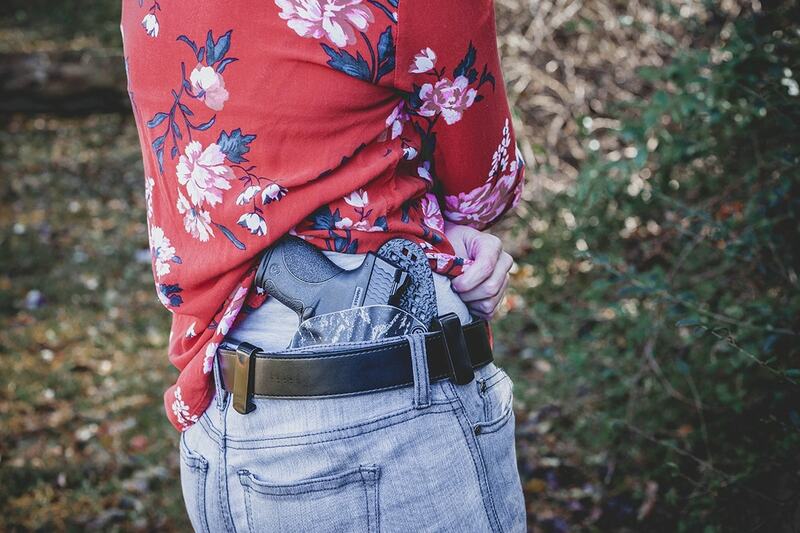 For this reason, I commonly recommend women or “hippy” carriers opt for a nylon belt instead. (Nexbelt does offer a nylon style known as the Titan). 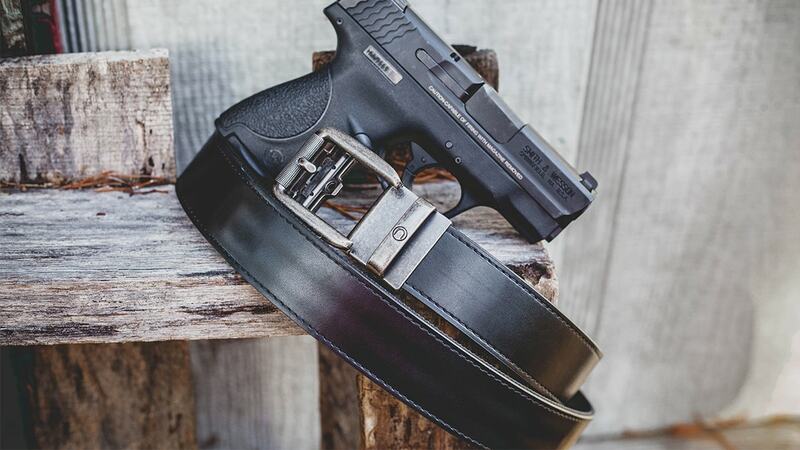 The EDC Rogue by Nexbelt provides every day carriers with a dressy looking gun belt that doesn’t scream, “I’m packing.” Partnered with the limitless options when it comes to sizing, the EDC Rogue is a quality option for users looking for a sub-$100, leather gun belt. The EDC Rogue is priced at $59.99.